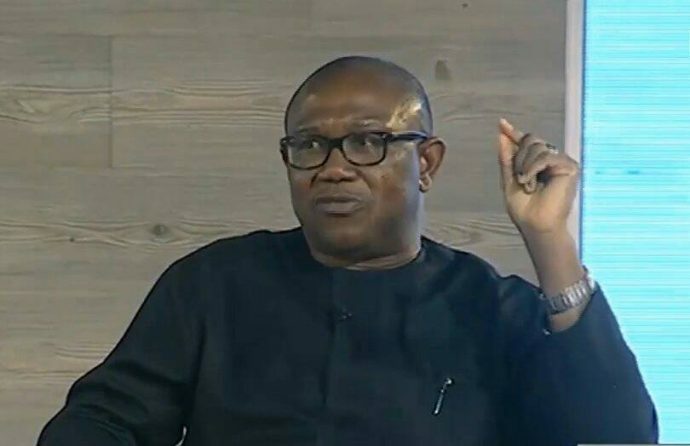 Obi, who was also a former governor of Anambra State, spoke in Abuja while appearing on ARISE News Television. Addressing the matter, Obi stated, â€œWell, all the good brains are in APC, but the country is not working. The good brains are in APC, yet the country is collapsing. Thatâ€™s all I can say. The vice presidential candidate stressed that in 2015, APC came to campaign with a bundle of lies and presently, instead of the ruling party telling Nigerians if they had been able to fulfil their promises, they were spinning more lies. Obi further regretted the countryâ€™s debt burden and carpeted the APC-led administration for not curbing the trend. He explained, however, that while he was not against borrowing, there must be a purpose for it, and that this must be explained to Nigerians. The vice presidential candidate also commented on the ongoing conversation on the minimum wage and said while he wasnâ€™t speaking for the presidential candidate or the party, he said there was need to sit down with labour, look at the income of the nation and the various states and determine the appropriate figure. â€œPersonally, I do not believe that somebody from Lagos should pay same thing with somebody from Ebonyi State. If you go all over the globe, there is no place where two states pay the same salary even America,â€ he said. On the search on Atiku by the security agencies, he said that the opposition leaders were not only targeted and persecuted, but the ruling party was turning the whole thing into childish affair. Obi said what the PDP was concerned with now was to bring the country back to where it used to be. He said his principal, Alhaji Atiku Abubakar, would prioritise security, national unity, education and job creation, if elected president of Nigeria, saying the country is broken, that another four years of the All Progressives Congress (APC) should be beyond contemplation of any right thinking Nigerian.